If you are looking for quick and easy Easter gifts… I have the cutest thing for you today. 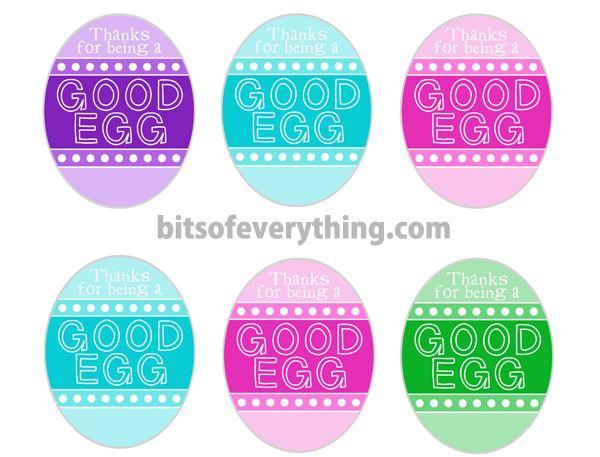 Print this simple Easter gift tag for the perfect touch to your gifts! Fill a few plastic eggs with little treats. Put a little grass and your Easter eggs into a plastic bag. (This is a great deal on a huge bag of plastic eggs!) 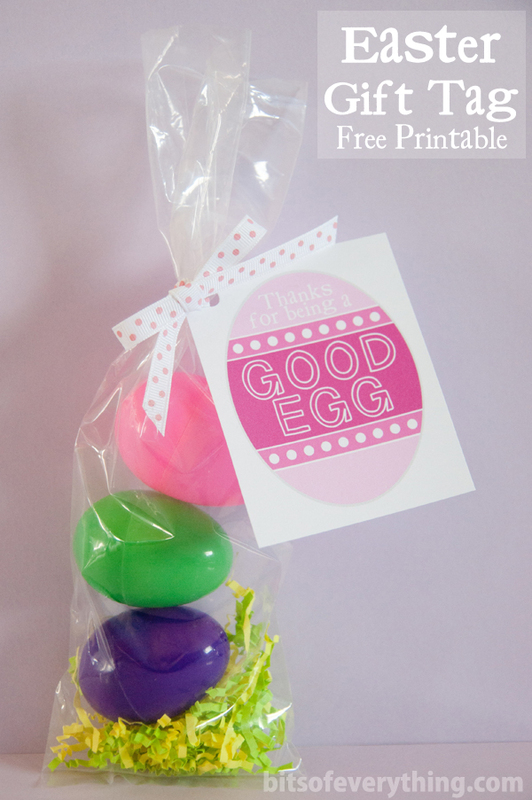 Print “Good Egg” gift tag and tie to the bag with some ribbon or twine and you are ready to go! There is even a little space at the bottom for you to sign your name. 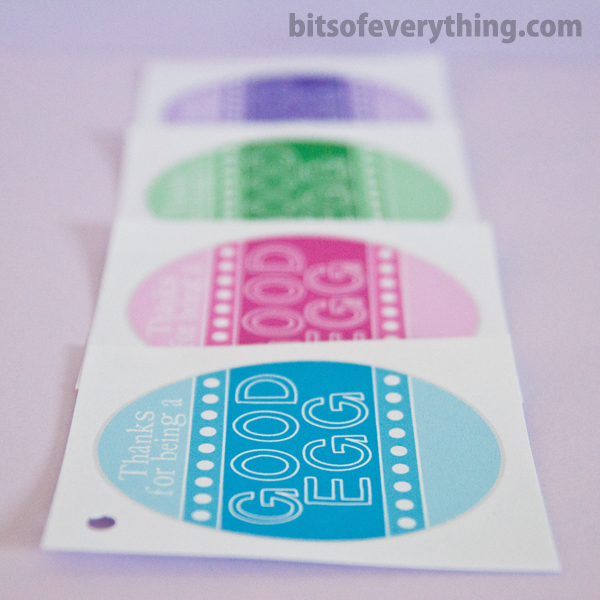 Good Egg Easter Eggs are available in four different ombre colors AND you can print 6 eggs to a page. Perfect size for a little Easter Gift. These would be perfect for your kids, your students, neighbors, or friends. I am using these for my young women. Anyone would love a little note like this to brighten their day! All printables and downloads made by Bits of Everything are for PERSONAL USE ONLY. Please do not alter or claim as your own. Feel free to link back to http://blog.bitsofeverything.com/ if you like our printables. We would love a comment if you download. Thanks! Thanks for this cute printable. I love all the fun colors! Pinning! oooooh! I like the different colors! Totally wishing I had someone to give these to this year! I love all the colors! I can’t believe that Easter is so close. Where is 2014 going?!! This is so cute!! Thanks for sharing! I love printables, and these are just too fun! The colors are perfect. Pinning! I love this idea! Your printables are so cute! Pinning for later.